BTC News Trader Review, Cloned BTC News Trader is a Scam Crypto Robot! 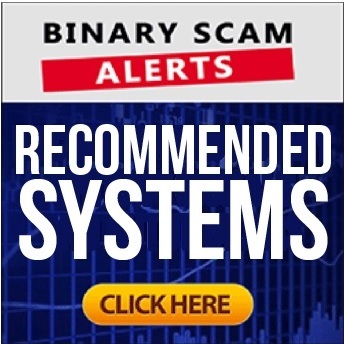 Binary Scam Alerts » Bitcoin Scam Reviews » BTC News Trader Review, Cloned BTC News Trader is a Scam Crypto Robot! The BTC News Trader Scam software and app (not to be confused with BTC Robot) is a fraudulent trading robot and a “Bitcoin Trader” clone. In our detailed review and investigation we have made a conscientious decision to fully BLACKLIST this thieving piece of trash technology as we have personally seen with our own eyes how this software is rigged and set to lose (we will also produce proof of this). You should know that this system is currently in “testing” phase, which means it has not been fully launched, and the affiliate networks are now doing SPAM email marketing with a technique name “drip feed”. This means that they are warming up their IP’s and bulk email servers in order to send the massive amounts of spam they are used to. Additionally, we expect to get a lot of fake news websites with spammy affiliate links directing customers to this get-rich-quick scheme. You needn’t bother searching the internet a genuine BTC News Trader Reviews, as ours will cover the most relevant and important aspects of this dirty new crypto app, and connect the dots for you in the most convincing and transparent manner. But first a bit of disclosure, you should know that we are not associated or affiliated in any way with the BTC News Trader scam software, so in this context our review is 100% honest and in line with the norms and best practices adopted by the online trading industry as there is no conflict of interest. Additionally you should be aware of that market rates in regards to Bitcoin as well as other virtual currencies tend to fluctuate excessively due to their volatile nature and the fact that they are heavily influenced by media and regulation. That being said, it is very much possible to profit trading Bitcoin, but not via this fraudulent system. Keep reading our informative BTC News Trader review to see how we exposed the liars behind it and shed light on their dirty little operation. Here is the evidence you will need. Here on the left side you will see the BTC News Trader primary sales page and registration area. Right next to it is the Bitcoin Trader signup page. We have marked both sales pages in a way which lets you see exactly how it is the same software which is used in order to trap and bait unsuspecting victims (that’s you). You can clearly see they are using the same url structure and that is because it is managed by the same affiliate network which has now built its reputation as the owners of one of the most deceptive and unethical customer acquisition platforms available for online promoters today. Moving forward, below you will see that the broker which was assigned to us was UFX, which has a license in Vanuato. In essence, it is unlicensed and despite the fact that they have Andre Iniesta from Barcelona Football Club plastered all over their website, they are still considered by many to be a scam broker which does not abide by any legal or regulatory statutes and we have heard horror stories about how traders were not able to cash out winnings from their platform. And for the final nail in the coffin, here are the fake testimonials. These are totally fabricated and have nothing to do with real people who have tried out and invested with this filthy trading platform. As you can plainly see, “John” from Australia is not a real person and while the signature adds a nice touch, it is also forged and designed to trick you. Brace yourself, you are about to get ripped off by serious con artists. BTC News Trader can be viewed as the classic example of a get-rich-quick crypto scam. Immediately we are barraged with out-of-context soundbites and promises of easy money which can be yours right now and without any effort. We see all the rich gurus like Richard Branson and Bill Gates have their say about how Bitcoin is a “huge thing”, and why it is crucial that you invest immediately before its too late. How Does BTC News Trader Work? According to the sales page cryptocurrency trading is influenced by news. The BTC News Trader system collects and processes news from around the globe. Once the news in regards to a certain coin is collected, the analysts classify it as “either positive of negative” and the signals reacts accordingly. Who Is Behind BTC News Trader? The real people behind it are affiliate networks who cooperate with offshore brokers (in our case it was UFX). Their job is to recruit as many customers (that’s you) as possible using all the means at their disposal, and provide paying clients to brokers which in return pay them hefty commission checks. No, it will cost you at least $250 in order to signup for this filthy piece of thieving technology. And that is just the start of it, because the brokers have to pay their advertisers so in order for them to generate a profit they have to take their money from somewhere else (that’s where you come in). Is BTC News Trader SCAM or Legit? The BTC News Trader is 100% pure scam and we have produced documented proof of insidious foul play in order to validate our claims and initial findings. Behind the scenes the unlicensed brokers and crafty affiliate marketers are conspiring behind your back to steal your money. We have all the makings of a financial scam such as hype up and exaggerated claims of easy money, inflated bank accounts, fake testimonials, and outright lies and manipulations. In a nutshell, avoid at all costs. The ones to watch out for are Maximus Cryptobot and Ethereum Code. If you are searching the internet for a viable and trusted alternatives such as crypto robots, signals, or Forex EA’s, then you need to check out our recommended section. Our staff scrutinizes every system before it is added to our short list, and even then its on a temporary basis. Only after a software has consistently shown profits, we add it to our list.